The technology that this project hopes to develop is an attempt to demystify the communication between the Individual and their body. 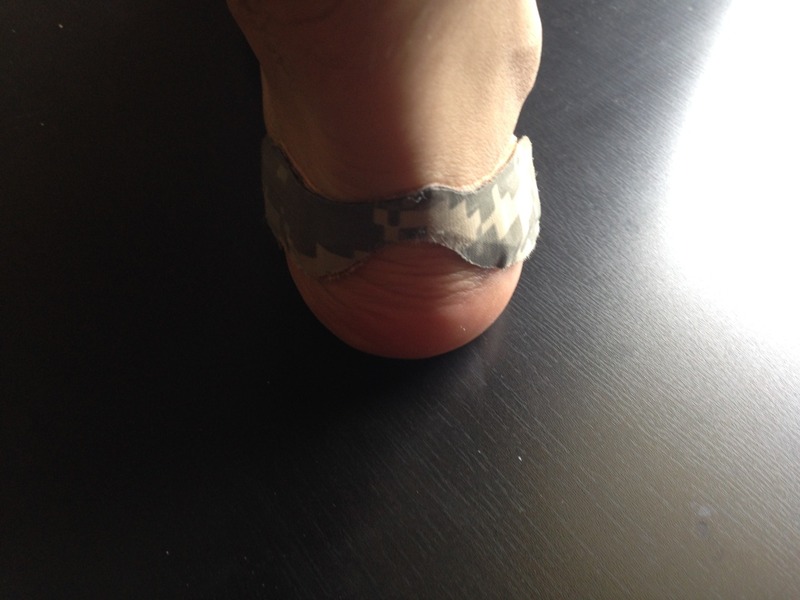 Most of the pain and injury suffered by almost 60% of runners every year is thought to be sustained as a result of preventable faults in form or impact propagation. The scope of this project is grant and it is intended to be carried out in multiple parts: 1) sensor development, 2) sensor interpretation/app development, 3) shoe design and prototyping, 4) and the final sensor, shoe, and app integration. In this portion of the project we are focusing on Step 1. BioMetrix is in the last leg of pilot manufacturing; expecting an engineering pilot in early August and a fully functioning pilot by late August. We are currently developing an app and cloud solution to support our device and have made a key partnership with Motion Analysis Corporation to allow our device to sync with thier motion capture system to provide an “x-ray” eye through shoes, backpacks, and other clothing to supplement thier system. By partnering with MAC, we hope to help address some limitations of current motion capture methods and help more accurately characterize a users form, identify problems, and get people on the path to recovery. These Blue Devils stand out in a big way. We are partnering with a company called GTI to help us get through development at a more professional stage. They’ve helped us locate and start working with a company called Well Being Digital, a wearable electronics manufacturer, to produce our pilot prototypes. 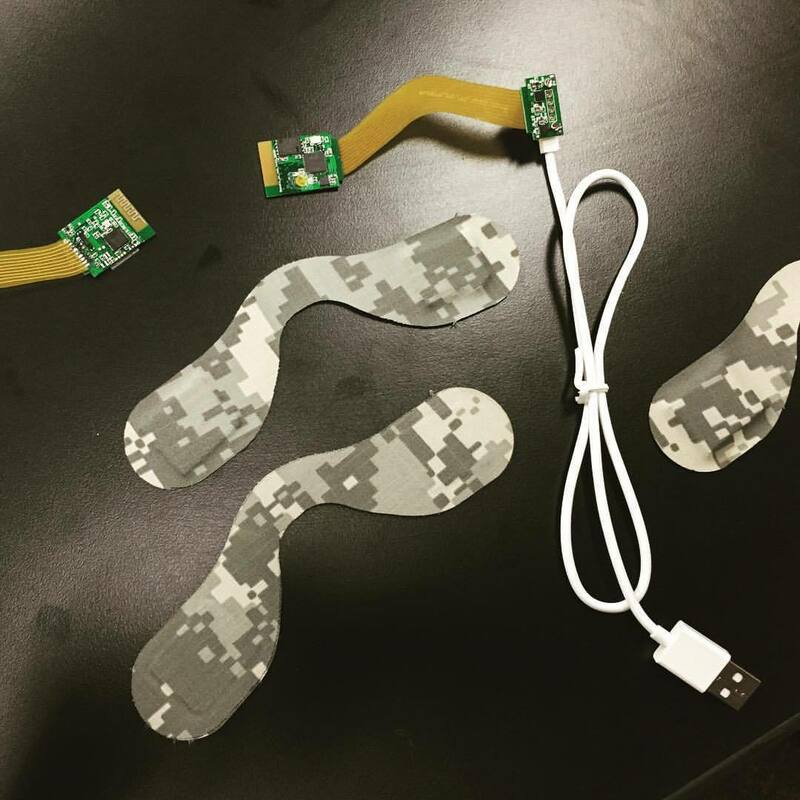 These pilots will be, wireless, fully flexible, small, and thin, and in an innovative new breed of rugged wearable casing. We’ve received the support of an independent company in developing a custom double-sided substrate for adhering the device to the user’s body and will be developing and manufacturing pilots in late July to early august. We plan to complete a functional mobile app by this time as well. We will be testing them live with Duke Track and Field and Duke Sports Medicine come mid to late August and hope to publicly demo the device in September in partnership with Duke University and the Innovation CoLab. If you asked Ivonna Dumanyan just five years ago where she’d be today, starting a running tech company at Duke University would never have crossed her mind. But thanks to a lot of hard work and the entrepreneurial resources provided across Duke’s campus, her present-day reality has outstripped her imagination. We are able to detect the degree of pronation now. our next step it to enable the Bluetooth we have been working on to make it wireless. We are also waiting on a new, more sensitive gyro and incorporating a pressure sensitive surface to better understand what is happening on the plantar surface. We are chugging along and making improvements were we can. 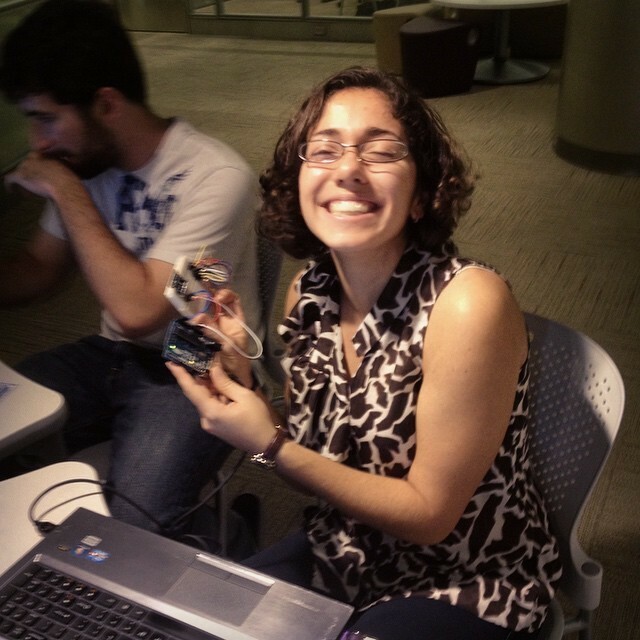 Ivonna making some great progress on her #smartstrides sensor project. I finally managed to sew together a reliable pressure network using conducive fabric, conductive thread, neoprene, and velostat. It’s working great with a graphical representation of the pressure variation in 4 quadrants using Processing. I am handing it over to my partner Brianca, to work on some more models. My next suggestion is “the epicenter” model: assuming near equal weight distribution in certain areas of the foot, we will partition our network more intelligently! Jason Oettinger help get our sparkfun 9-DOF board up and working with a foot motion sim running on Processing. See the video! We got it to work with our cheaper, smaller Kootek gyros too! I’m finally ready to pull the signals and identify those pronators! 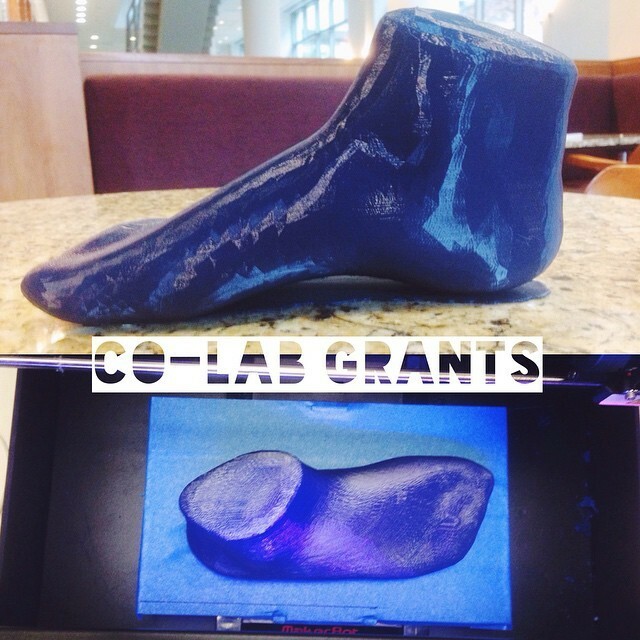 Scanned and 3D printed my foot with the Help of Austin Powers in the MPS west. We had a great time figuring out the quirks of the system but eventually got a good looking foot printed. I am going to use this model and a basic setup with a pendulum to simulate arch collapse so I can multitask during data collection/ filtration/ pronation identification!